Yeah I seen that. Isnt there a 3000d prototype also? yeah, but i think that is a couple more months down the road from the 1000d. saw sundown is coming out with alot more amps as well, as well as their spl sub. so you think hifonics has just as good build quality as a sundown? even the bxi1606d will have some edge..
friend of mine benched his sundown 1500d at just a little over 1600wrms @ 14.4v. plus does hifonics warranty their products for 2 years, with a 5 year cheaper replacement discount warranty. all which is transferable from the original buyer? plus how many threads you ever read of someones' sundown messing up on them, compared to a hifonics? not trying to bash hifonics or nothing, nor rep sundown, just trying to let people know of a good deal on some new amps from a reputable company. ok go to sundown official forum the owner of sunddown himself benched the amps and nope at 14.4 volts at 1 ohm will never give you 1600 rms close yes around 1580 i think but yeah go there if u want... so ucan see they are not underated that much... people juzz over react because its a new underground company and they came from stereo integrity. juz like stereo integrity my brother there are products better than them.. take a look at the mag 500 bucks u can get a fi q for under 300 and will have louder and cleaner bass..
if u have a good under the hood battery and some good runs of 0 gauge cable.... and stock alt..
yes u will get more than 1600 only IF u got one hell of a charging system.... but overall u will never get 1600 only like i said u have some good charging system... and yes the only method to take out the hifonics bxi2006d its to run the amp at .35ohms.... but that will be risking the amp ull need tons of current and the amp will fail shortly.. it only aceptable in burps..
yeah, i've read that before. still i'd rather haev the sundown, i'll take my chances with it over a hifonics. personal preference. and who's comparing si and fi? i'd rather take the q as well. and to let you know a mag can be gotten for $399. oh shyt ctmike where??? i need a mag so bad i want it for ht so where can i get that for 399? 1u can get a fi q for under 300 and will have louder and cleaner bass..
2oh shyt ctmike where??? i need a mag so bad i want it for ht so where can i get that for 399? Obviously you would rather have a Mag when you are sitting there saying a Q is better AND for better price. Whats the deal? Also, there is NO comparison in build quality between Sundown and Hifonics. I don't understand why you keep saying one hell of a charging system because one hell of a charging system is not needed to run either that Sundown or the Hifonics, just a simple alternator upgrade. Further, that same hell of a charging system is needed to get 17-1800rms from the Hifo. Anyways, there is no point in arguing because everyone knows you get what you pay for in car audio. 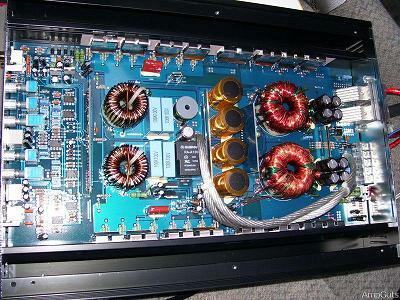 If you want an amp that does 17-1800 that will last you a few years, or maybe less, get that Hifo. If you want an amp that will put out the same power and even more (depends on final ohm load) that is one of the most efficient amps out there that will last you years on end, then the Sundown will suit you perfectly. Me personally, would save up the money for the Sundown because I don't like running cheap equipment, not even decent equipment. I'd rather have something that lasts long and suits me for as long as I own my equipment, than something that might break causing me to spend the same money that I could have spend on the good quality equipment in the first place. ^^An alternator is an easy option.. It may not be the cheapest but it sure as hell is not rocket science. You buy an HO alt, and install it. What is not easy about that? Most alts can be replaced in 10 minutes. My old alternator was underneath the engine, which took myself a while to install, but nonetheless it was still easy. Like I said, it is a very easy upgrade that your whole system will benefit from. Your charging system is the most important part of your system. When you install a HO alt you also have to upgrade to thicker wiring...which requires a wire depending on the output of your alt and that alone is time consuming.Basically the big 3 has to be done before you can install a HO alt so if that's not done before hand then you're going to have a lot more time needed for the alt install.It's not as easy as you say it is all the time.I had to tear apart my interior to install my alt and that's not that fast of a thing itself.I also had to go in and out of my vehicle to remove each bolt which also took a bit of time.Installing a HO alt isn't something you can always do in 10 minutes.If you can I'd like to see a video of that Then turn the vehicle on show that the charging system is working properly with a DMM.It could be a tutorial,"How to install a HO Alt in 10 minutes." that would be very helpful for everyone. My car took me about 45 minutes, and although it was time consuming, it was still easy. I never said every car would take 10 minutes. Many cars have their alternator sitting right on top of the engine, which in that case will take about 10-15 minutes. Notice I did not say all cars. Your car seemed to be one of those that did not seem to fit into my "most alts" statement. Also, I would love a "How to install an HO alt in 10 minutes" tutorial just as well as yourself. The associated wiring, guys. The WIRING! A 12g cable is going to choke the alternater with resistance, limiting it's output anyhow, and creating heat. A 2nd battery is always nice, too. And put the cap on the 2nd battery. Mr. KingRob, look at the test results you posted a little closer. Do you see what the VOLTAGE FELL too. 12 volts and something. Which means it is giving over 1500 rms AT 12 volts. Now keep a steady 14 volts and you WILL see in the 1800 rms area. Be very careful what product you talk about when you no nothing about it. I am not being an @ss, but tell you liek it is. You put the same test result in the last thread about the amp. You have no clue on this amp. why don't you call me, buy one, and play with one along side your POS Hifonics and you will see what everyone is talking about. I only know of 1 Sundown amp dying and that was at .175 nominal. How many Hifonics die a year? more than deer getting hit by cars I am sure. I love cheap stuff, h3ll yeah and i own cheap amps (lanzar vibe 1800d 1200-1400w rms at 1 ohm for 145$) and i must say, if you can afford higher, GO! 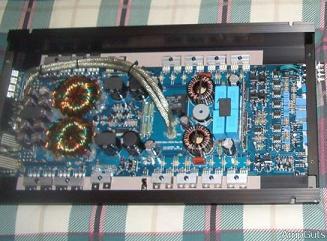 and plus, look at all the room on that hifonics board... and its supposed to be rated at 500 more watts? "taking time to respond for the deman..."
At the speed of light, it really doesn't take long. Not to mention and throw out at you, the Sundown may MSRP high, but contact me as a dealer and I am ALWAYS under MSRP. On a tight budget I'd run that Hifonics but if I had a little extra cash I might think about the Sundown but I dunno even at 500-600 range I think I'd look around for something a little better since I'm going to shell out some money anyways.Maybe I'd save and get that new Sundown amp What are the details on that Kevin? By Sundowns dealer rules EVERYONE has to price them and list them at MSRP on the site. All you have to do is call us for discounts. That goes for ALL itmes as well. problem with sundown is price. Why would i buy a 500$ 1500w rms amp, if i can buy a good quality amp putting 1500w or more for that amount. That's where competition wins. IMO, sundown is good, but those prices should drop a lil bit. SAZ 1500d should be around 400ish. Kevin gimme two of the 3kw Sundown amps. NOW!!!! Any idea what they will sell for? i'd have to disagree with you juliob. $600 msrp for a sundown 1500 is a great price. even if you have to pay the full msrp. for comparision look at the kicker 1500.1, msrp is $999. that's $400 less for the sundown, if buying both at full msrp's (which no one would though). even not at msrp you can get the sundown cheaper than a kicker, still with full warranty from them. (not hating kicker though, love their amps).